For more information see picture below. Both dates are same content. It is not necessary to attend both dates. 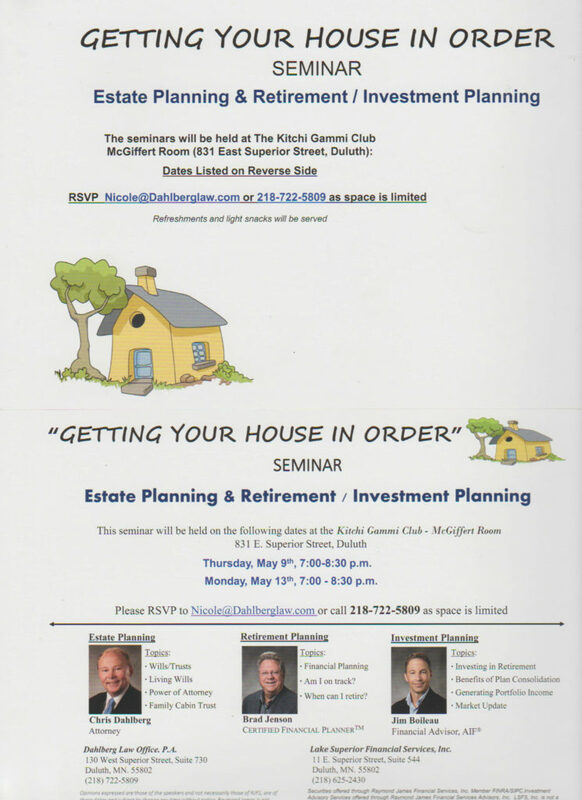 To RSVP call 722 5809 or email nicole@dahlberglaw.com with names and what date you want to attend.